Establishing a reliable retirement plan is one of the most important steps in achieving financial stability for when you retire. Whatever your retirement goals and needs are, an IRA (Individual Retirement Account) with the Polish & Slavic FCU will help you achieve a financially sound retirement. IRAs are savings plans that provide financial incentives to save for retirement. Traditional IRAs have been around since 1975. Its main benefit is tax deferral on contributions and earnings. Eligible amounts may be deducted from current taxable income*. Deducted contributions and earnings will become taxable at the time of distribution. Contributions to Traditional and Roth IRAs are aggregated and the total cannot exceed the lesser of taxable earnings for the year or the maximum contribution limit shown. As long as an IRA owner has taxable income contributions may continue until age 70½. Starting with the year in which the IRA owner attains age 70½, distributions are required and must be taken each year thereafter. To open an IRA account, please visit one of our branch locations. For additional information, please contact our Member Services Center at 1.855.PSFCU.4U. *Consult your tax advisor for information or eligibility. Instead of a tax deduction, individuals contributing to a Roth IRA accumulate earnings that may be tax-free if certain conditions are met. To be tax-free and penalty-free, the earnings on the Roth IRA must be qualified to second paragraph. Namely, they must be distributed after at least five years from the time the first contribution was made and the individual must either reach the age of 59½, use the funds for the first-time home purchase, be disabled, or the distribution is due to death. 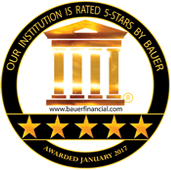 Please follow the link below to see our current IRA rates. A SEP (Simplified Employee Pension) IRA is an individual retirement savings account that allows for employer contributions to employees that participate in the employer’s Simplified Employee Pension plan. SEP plans may be established by many kinds of small business entities: self-proprietors, partnerships, S or C corporations, and non-profit or tax-exempt organizations. It offers small employers an attractive opportunity to fund a relatively inexpensive retirement plan for themselves and for their employees. The employer providing a SEP plan has full discretion regarding the amount or percentage of contributions, but if any contributions are being made for the year, they must be made to each eligible employee’s SEP IRA in a non-discriminatory way. From the employer's perspective, the main benefit of a SEP plan is tax deduction on contributions, lack of responsibility for the funds once they are deposited into employee’s accounts, and no special reporting requirements. In addition, the IRS offers a tax credit for plan establishment costs. The SEP plan is also very attractive to the participating employees. The employee is always 100% vested, has full control over the funds, and can receive contributions even past age 70½. Once the money is in the employee’s SEP IRA, it is governed by the Traditional IRA distribution rules. The SEP IRA contribution limit is the lesser of 25% of compensation or $55,000 in 2018 and $56,000 in 2019. A SIMPLE (Savings Incentive Match Plan for Employees of Small Employers) IRA is an individual retirement savings account that allows for contributions made in connection with participation in an employer provided plan. SIMPLE plan may be established by many different types of small business entities that employ up to 100 employees with compensation of $5000 or more. SIMPLE plan is available to self-proprietors, partnerships, S and C corporations, non-profit and tax-exempt organizations who do not offer any other retirement plans at the same time. It provides such small employers with an opportunity to offer a relatively inexpensive retirement plan for their employees, where the burden of funding the plan is divided among the employer and the employees. Both employer and employees contribute to the SIMPLE IRA. As part of the plan, employees will be offered an opportunity to have part of their pre-tax compensation deferred into their SIMPLE IRA. The contribution limits are: For 2018: $12,500 for individuals under 50 years of age, and $15,500 for those who are 50 or over. For 2019: $13,000 for individuals under 50 years of age, and $16,000 for those who are 50 or over. For each year of the plan operation, the employer will provide a matching contribution to all eligible employees. It is required that the SIMPLE plan is offered to all eligible employees, and the employer must make contributions for each year the plan is in operation. Employer must also ensure a prompt contribution of deferred compensation into the employee’s SIMPLE IRAs and that employees are timely notified of their deferral options. From the perspective of the employer, the main benefit of a SIMPLE plan is tax deduction on contributions and lack of responsibility for the funds once they are deposited into an employee’s SIMPLE IRA. The IRS also offers a tax credit for costs incurred in connection with SIMPLE plan establishment. The employees also benefit from participation in a SIMPLE plan. Not only do they have an opportunity to reduce their current tax liability, but they are also always 100% vested, have full control over the funds contributed to their SIMPLE IRAs, and can receive contributions even past age 70½. Generally, all the Traditional IRA distribution rules apply, except for the increased 25% penalty on distributions made within the first two years from the date of first contribution made to the SIMPLE IRA. All employers interested in establishing a SIMPLE plan should contact their tax advisor for more information about possible benefits and detailed eligibility requirements. Traditional and Roth IRAs are the most common retirement accounts, available to practically everyone who receives compensation from employment. SEP and SIMPLE IRAs offer attractive retirement solutions for people who are self-employed. Click here to view current IRA rates. To open an IRA account please visit one of our branch locations. For additional information please contact our Member Services Center at 1.855.PSFCU.4U (1.855.773.2848). Even though an investment into a retirement account to save for your future is a wonderful idea, the choice of a retirement plan that is best suited to your needs is a complex decision which requires careful planning. IRAs are federally regulated and you bear full responsibility for any decisions and actions involving your IRA. Information contained on this website is intended for educational purposes and is only meant to introduce you to the IRA products offered by the Polish & Slavic FCU. Please, make sure to familiarize yourself with IRA Contribution Conditions and Restrictions. We recommend that you consult a tax advisor for help in choosing the IRA best suited to your needs.